On a recent day trip to the Quad Cities with my hubby and the boys, we decided to pay the Bierstube a visit for dinner. With my husband's German background, we always seek out German restaurants. 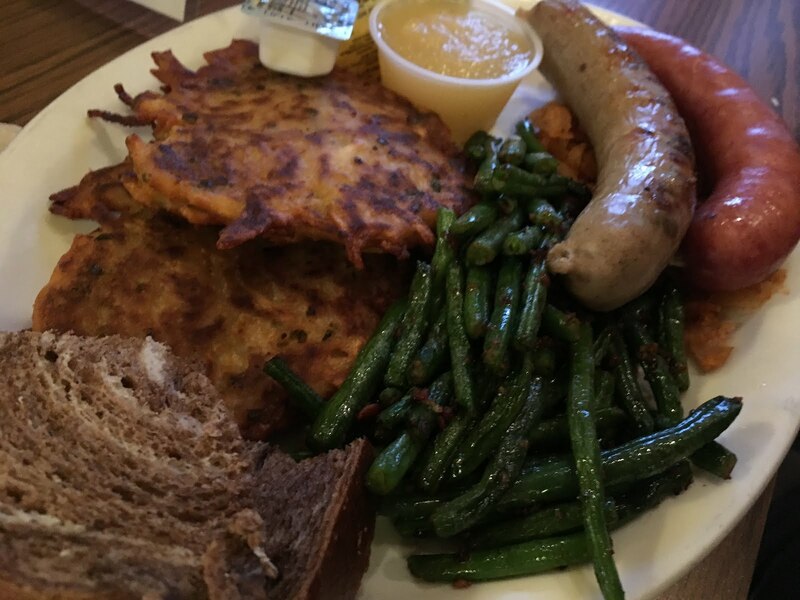 I was introduced to German cuisine by my late father-in-law, who was born and raised in Berlin and immigrated here in his late teens. It was because of him that my husband and I would go on dates to a German restaurant in the western suburbs for potato pancakes, schnitzel, sauerbraten, rouladen, sausages, Black Forest cake and many other goodies - like Hofbrau, Dab and Spaten. Schnitzel remains one of my favorite foods. 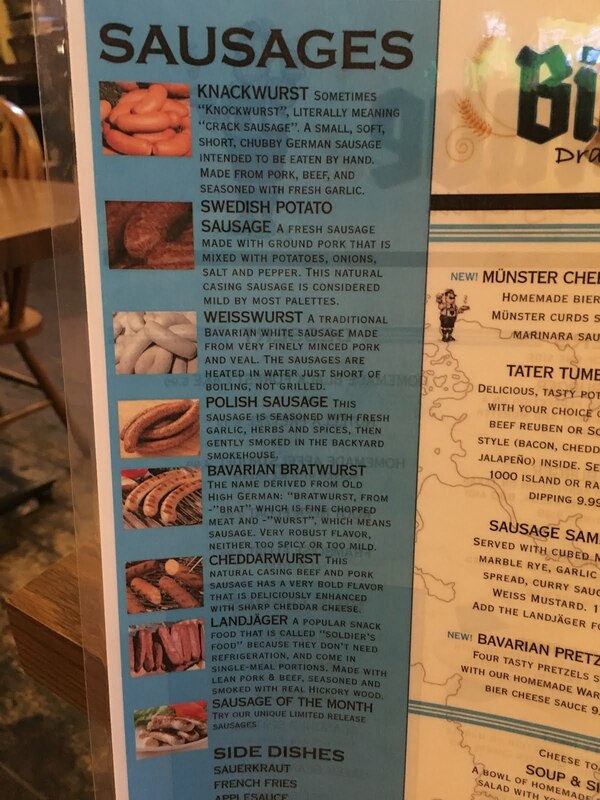 Our boys seem to all like German food as well. A few of them are big fans of schnitzel, like I am. So, Bierstube was a no-brainer. 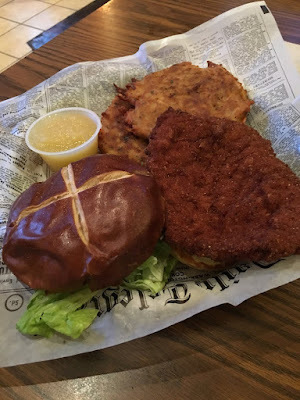 I love that they have a schnitzel sandwich that is very reasonably priced and comes with a side, so it's a little lighter than a full dinner. Hubby got a sausage platter with potato pancakes and some seasoned green beans that were very tasty along with some sauerkraut and marled rye bread. 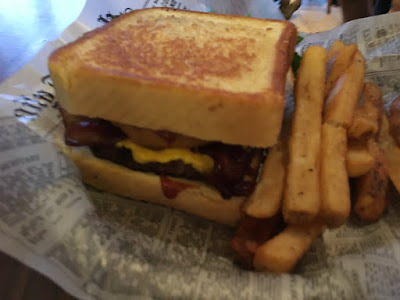 Another of the boys had a cheeseburger on Texas toast - not exactly German inspired, but he gave it a thumbs up. 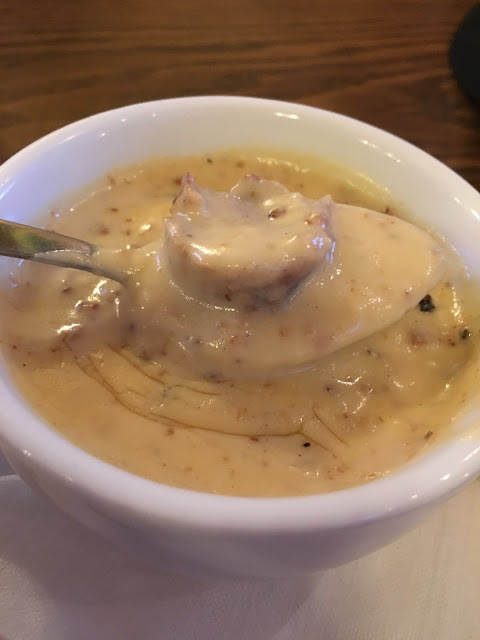 Another had some bratwurst and beer cheese soup. 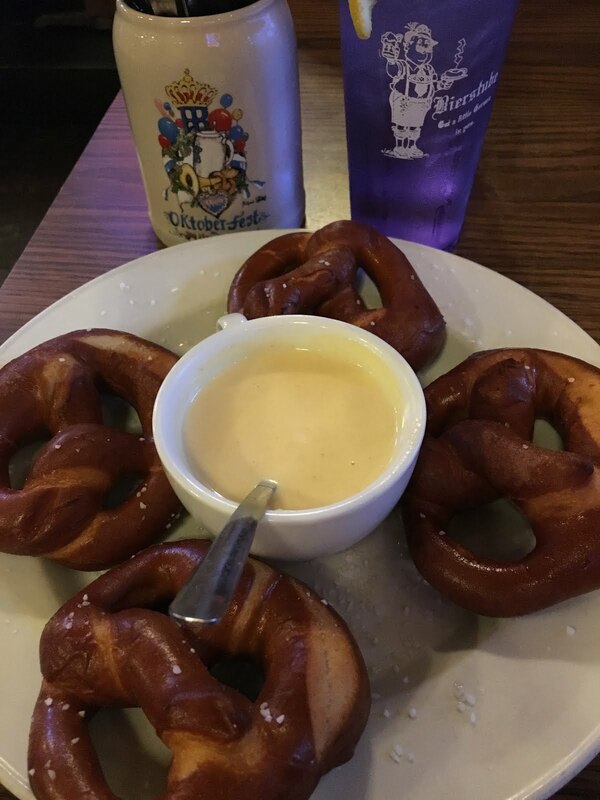 And the pretzels with beer cheese were such a hit as the appetizer, we ordered a second platter. Oh, and Hofbrau Hefeweizen...on tap...so glad to be able to get that there. Not a lot of places to get it on tap. We have to drive up to Rosemont to the Hofbrauhaus to get some, so it was wunderbar to have a pint there. 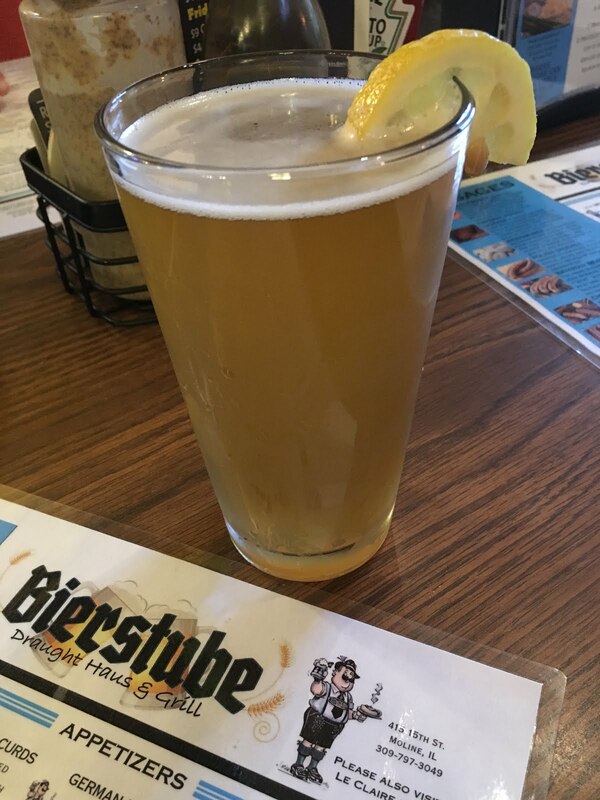 If you find yourself in the Quad Cities and are looking for a place to chill and enjoy a bite and a beer, put Bierstube on your list. There's also one in LeClaire, Iowa -- and hubby and I actually visited that location earlier in the summer. It's situated right on the Mississippi River, so that location also offers some nice views from the outdoor biergarten. Visit http://www.bier-stube.com for more info. We happen to meet a great people there and started to chat with them and drink w/them too. I had a great time here, glad we found this place by accident. Will definitely come to this venue NYC again as anyone will make this a regular spot easily.